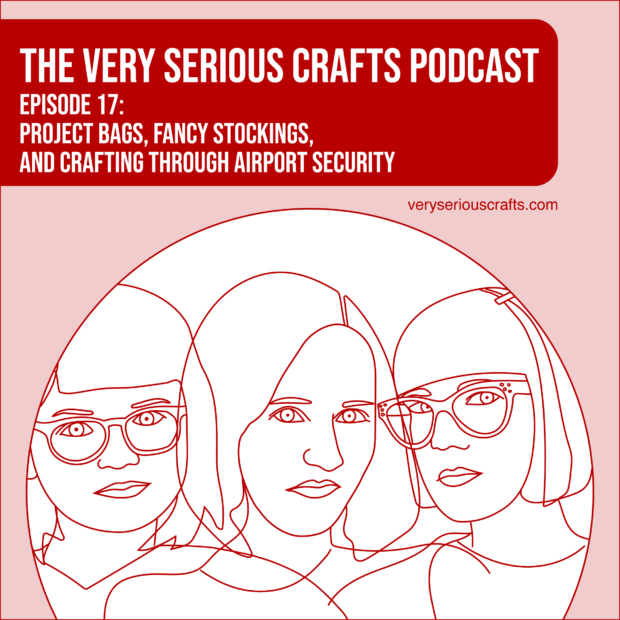 Hello, and welcome to The Very Serious Crafts Podcast, Season 1: Episode 17 – Project bags, Fancy Stockings, and Crafting Through Airport Security! 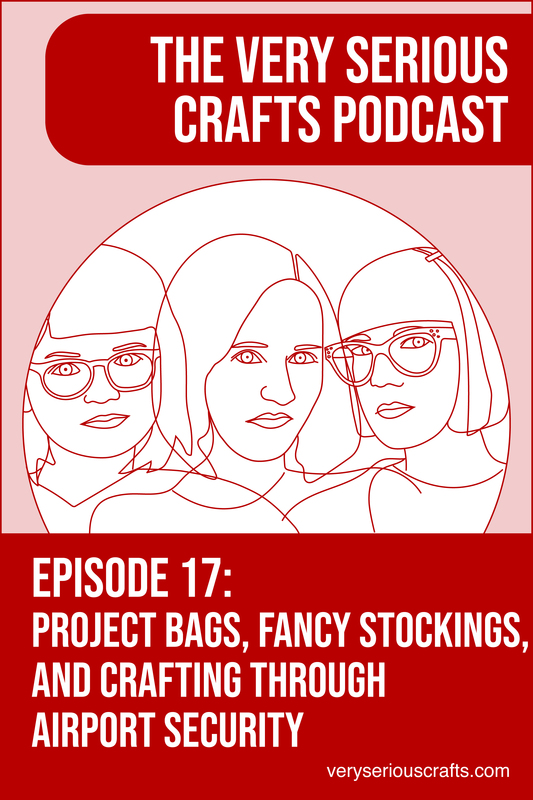 In this episode, the Very Serious Crafters are at least *pretty* sure that they’ll get through their holiday season travels with craft projects still firmly in hand. 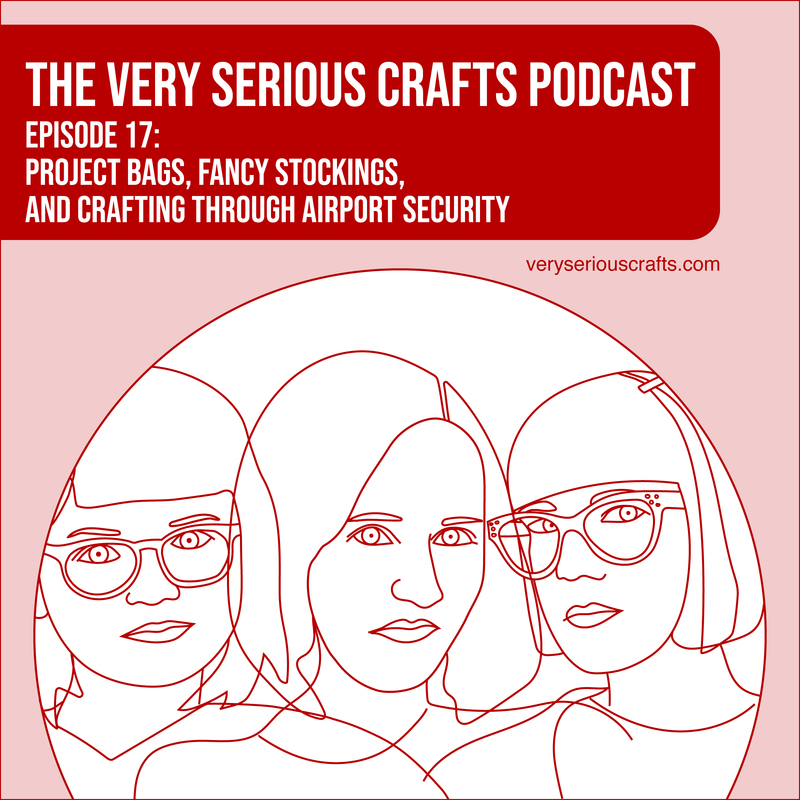 In Episode 17 of the Very Serious Crafts Podcast, Mollie breaks some needles, Haley solves a mystery with the TSA, and Heidi doesn’t find moths!